Eyebrow Shaping – An Easy Option! 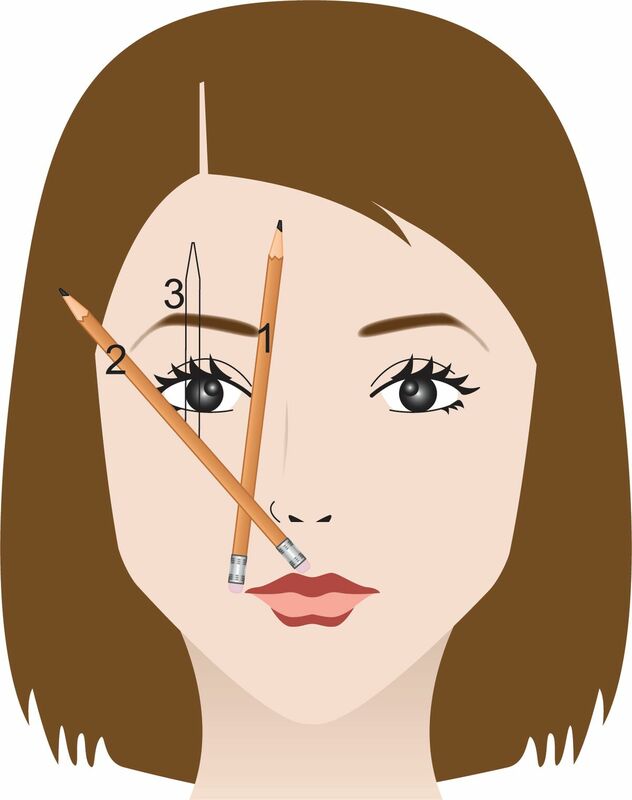 Lay a pencil next to your nose and align with inner eye corner to find starting point. 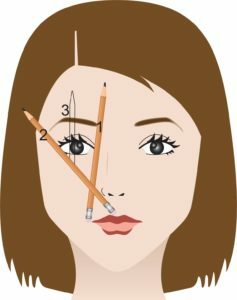 Next lay the pencil in corner of nostril and angle up to align with the outer corner of eye to determine brow ending point. The high point of the brow should line up with the outer edge of the iris. Apply eyebrow pencil color by following the natural line of your brow or go slightly higher on the outer ends if they tend to droop down (then remove the lower brow hairs. Finish the brows by brushing them backwards with a small stiff brush then smooth them with an upward and outward sweep. This will give the illusion of little hairs instead of pencil strokes. TIP: Consider having your brows tweezed and shaped by a professional, then invest in slanted Tweezerman™ tweezers. Do your own weekly touchups using a 10x magnifying mirror.